Nancy knows. A long-time high-rise resident, Nancy Martínez can share her experienced perspectives on the high-rise lifestyle and conscientiously guide buyers through the intricacies of purchasing a high-rise home. Both high-rise sellers and buyers have benefited from Nancy's proprietary, building-specific pricing analyses. Nancy has closed well over 160 transactions in excess of $60 million in more than 20 high-rise condominiums. 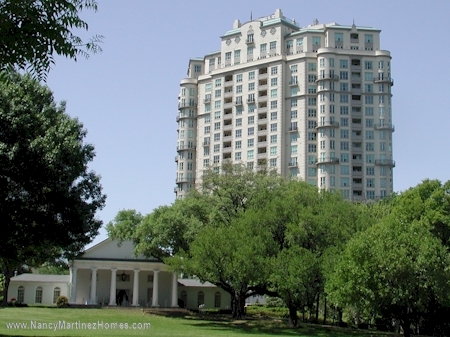 Her experience in matching buyers with sellers is unsurpassed in the Dallas high-rise market. Email Nancy to find out how she can push your high-rise sale through to close. More than any other home, living in a high-rise condominium or apartment is about lifestyle. How do you know if high-rise living is for you? Check out Nancy's Complete Guide to High-rise Living for more information, and tips for buyers and sellers. David Griffin & Company, Realtors, is a premier North Texas real estate brokerage with more than 30 experienced Realtors and professional staff providing service and solutions to ensure a smooth and successful home buying or selling experience for every client and customer.